The New England Patriots have less than 24 hours to sign Wes Welker to a long-term deal or he will have to play out this season under the franchise tag. 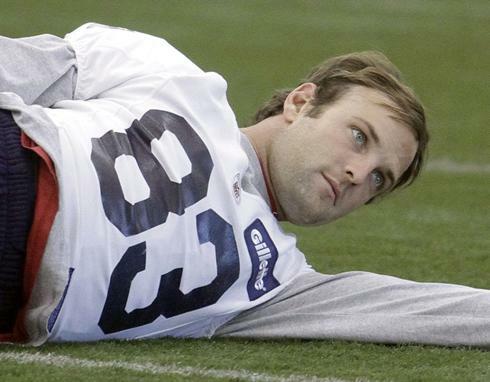 Despite the approaching deadline, the Patriots appear to have no interest in tying up Welker for the long-term. Welker has been quite vocal during the off-season about his displeasure after being tagged, but the Patriots have very few reasons to give Welker a new deal. After signing his franchise tag, instead of holding out, Welker gave up any leverage he was ever going to have over the Patriots. Welker believed that he was doing things the Patriots way by signing his one year contract for a guaranteed $9.5 million. What Welker didn't realize is that he was allowing the Patriots the option to completely fore-go negotiations ahead of this year. You see, while Welker believes that he is an elite wide receiver, he is in the minority. Welker is clearly the best possession receiver in the NFL, but the value of possession receivers is not that high in today's NFL because there are plenty of them. Unlike a Calvin Johnson, AJ Green, Larry Fitzgerald or even Hakeem Nicks, possession receivers don't draw coverage. The difference between Wes Welker and a Danny Amendola is not as great as the difference between a Green or Johnson and the average outside receiver. Welker may be the best wide receiver on the Patriots' roster, but he is not Tom Brady's first receiving option. In fact, he may be third. The number one receiver on each NFL team is the receiver who draws coverage. He does not always have to lead the team statistically, but often does, because when teams plan to take away a teams best option offenses will take advantage of mismatches elsewhere. Rob Gronkowski is now the skill position player who defenses are most scared off. Gronkowski is the best tight end in the NFL and arguably the most difficult player to match up with in the NFL, outside of Calvin Johnson. Without Welker, Gronkowski would still be a dominant player. However with Gronkowski, Welker's production would suffer as defenses would be able to remove some of his space. Even if you take Gronkowski out of the equation, Aaron Hernandez would likely step into his place as the next leading receiver. Hernandez is much quicker than Welker and obviously much bigger. It is more difficult to find a player who can trail him in single coverage than Welker. While he is the perfect fit in the Patriots' offense and he is far from a product of the system, he does benefit from playing in New England. As much as the Patriots are happy to have him, if they weren't they wouldn't have franchised him, they could replace him a lot easier than they could Gronkowski or Hernandez. Another thing working against Welker is his age. Welker is 31 years of age and the team has already got an adequate replacement in Julian Edelman. Edelman is obviously not Welker right now, but he is a player who has shown a lot of potential in limited time in recent years. Edelman is only 26 years of age. As part of the Patriots' offense, Edelman could easily be a productive receiver for the next five plus years. The Patriots have already invested heavily in Rob Gronkowski, who is only 23 years of age, while Aaron Hernandez is even younger at 22. The Patriots would likely be more comfortable investing in Hernandez and Edelman in the long-term opposed to giving Welker the money he desires. The Patriots have shown in the past that one player is not greater than the franchise. Especially not wide receivers. Both Deion Branch and Randy Moss left because of contract disputes without much success elsewhere. Receivers are not an issue at all for the Patriots right now. Despite cutting Chad Ochocinco and Tiquan Underwood already this off-season, the Patriots still have Welker, Brandon Lloyd, Jabar Gaffney, Deion Branch, Julian Edelman, Jeremy Ebert, Matthew Slater and Donte Stallworth. Even if Welker left after this season, the Patriots would still have enough veteran experience to cope without him and enough youth to look to the future. Wes Welker may believe that he is a game-changing receiver in the mold of a Calvin Johnson or Larry Fitzgerald, but the truth is his loss wouldn't seriously hurt the Patriots. In fact, some could argue that Welker is being overpaid with $9.5 million guaranteed this year.